The <tab> tag renders an SWT TabItem widget. They must be direct children of the <tabFolder>. Specifies the ID of the resource containing the text to display on the TabItem. The <tabFolder> tag renders an SWT TabFolder widget used to house TabItems (generated by using <tab> tags as children). Value used in the creation of layout data for the controls that are rendered. The <TablePage> tag renders a jFace TableViewer that represents a list of entities of the specified type. These entities can be added, edited, and deleted using the available buttons. Specifies the type of the entity that is represented by the table. Specifies the full name of the Java class used to implement the dialog employed to add/edit items in the table. Specifies a comma-separated list of entity fields to be displayed in table columns. Specifies a comma-separated list of columns to make sortable. Specifies a comma-separated list of resource IDs (from a resource.properties file) that resolve to the text to be displayed on the table columns. Specifies a comma-separated list of column widths. Specifies the resource ID that resolves to the text to be displayed to the user when an item from the table is about to be deleted. Specifies a declarative XML file to use to construct the dialog used to add or edit the entities for this table. Specifies the preferred height of the control. The <text> tag renders an SWT Text widget. Specifies the ID of the resource containing the text to display on the Label. Specifies whether the control is a multiline Text widget. If this attribute is not present the control defaults to a single-line widget. Specifies whether the text should be wrapped within the control. This attribute is conditional on the multiline attribute being present and set to true. Specifies whether or not the Text widget is read-only. Specifies the preferred width of the control. Specifies whether a vertical scroll bar should be rendered. Specifies whether a horizontal scroll bar should be rendered. The <TextAttribute> tag renders an SWT Text widget (and optionally, a Label widget), backed by the specified field for the entity being configured. Specifies the name of the field of the entity backed by the rendered controls. The default value of the field will automatically appear in the Text widget. Indicates that a Label should be rendered to the left of the Text widget. 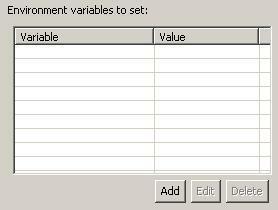 The value of this field is set to a resource identifier, specified in a resources.properties file. Specifies whether or not the field is required. If required and the user does not enter a value, a warning dialog appears, prompting the user to enter a value for the field. Specifies whether the a horizontal scrollbar should be rendered. In this case, EXCEPTION_NAME is resolved to the localized string “Name:”. The <ui> tag is the root of a declarative XML document. This tag does not require any attributes. The <validator> tag is used to include a validator class. Specifies the full name of the Java class used to validate input. The <XPathAttribute> tag renders an SWT Combo widget and three SWT Button widgets within an SWT Composite displayed as a Button bar. Specifies the entity type of all XPath expressions to be displayed. Specifies the ID of the resource containing the text to display on the Label (to the left of the combo box). 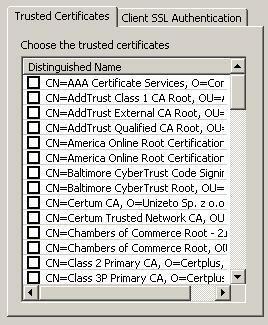 Specifies whether or not the entity field is required. Value used in the creation of layout data for the Button.